One of Britain’s most famous day ticket waters has decided to become members-only from next spring 2016. Bury Hill Fisheries, near Dorking, in Surrey, will end over half a century of access to day ticket anglers by changing to a membership registration system on the 1st April next year. But anglers will benefit from the change in policy by paying lower fishing charges, having longer hours to fish, easier access to the lakes and greater security for cars and tackle. Fishery owner David de Vere said the move was a sign of the times and a reflection of the changing face of angling, which is becoming more seasonal and weather related with fewer anglers participating. 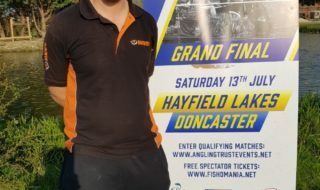 David said: “Angling is changing and becoming very much carp based, but I don’t want to go down that route. I want to keep Bury Hill as a mixed fishery, and I believe that a membership system will allow me to do that”. “It may not be the most financially beneficial way forward, compared with stocking with carp, but hopefully this way will secure the legend of Bury Hill as a lovely, peaceful mixed fishery for many years to come”. “I’ve put 25 years of my life into Bury Hill, and I now want to enjoy the wildlife, the tranquillity and the beauty of the place after so much time, effort and money. And l’m happy to share my dream with a small number of like-minded people knowing that the anglers on the water are going to respect the place and look after it because they have a vested interest in it as members”. Daily angler numbers on the lakes will be hugely reduced creating a more relaxed, peaceful, idyllic place with plenty of room between swims whilst the angling emphasis going forward will be on quality as opposed to quantity. The new arrangements for day membership at Bury Hill will mean an annual membership fee of just £25, with daily fishing costs for the Old Lake, Milton Lake and Bonds Lake being reduced from £12 to £10 for one rod and from £18 to £15 for two. A new electronic booking system will allow advance bookings to be made online whilst also limiting angling numbers using the lakes to much reduced levels. Our specimen carp lake Temple will continue with its current membership/advance booking system. 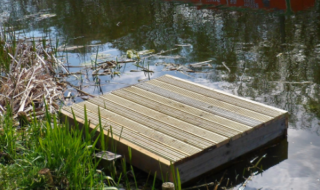 Electronic gates will be installed to restrict access just to members only, opened with swipe cards, fish stocks will be improved and work undertaken to enhance swims and replant the famous lily pads on the Old Lake. 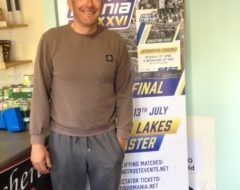 David is asking all anglers interested in fishing the lakes after April 1st 2016 to register now on the Bury Hill website www.buryhillfisheries.co.uk because numbers will be limited. At present Bury Hill has a Specimen Carp Club membership system that allows registered members to book night fishing and continue to fish as daytime day ticket anglers leave. The new arrangement is an extension of that arrangement, but without the day ticket access currently available to anyone to turn up without prior arrangement to have a day’s fishing. The Old Lake at Bury Hill was created over 100 years ago, and in the 1970s became a major match venue, hosting prestigious contests fished by the cream of the country’s anglers. It is the only water in the south of England that offers the chance to fish for stillwater zander, and is one of the few fisheries to have constructed a water-lift aeration system to ensure the health of its fish stocks. The Old Lake was also one of the first waters to embrace all-year-round fishing, with the stocking of trout in the late 1970s, which enabled anglers to carry on fishing after March 14th. Current owners David de Vere and his wife Mo, bought the peaceful and picturesque Victorian fishery from Graham Rowles in 1989, realising a dream he’d had of owning the water since fishing the Old Lake as a teenager. Since that time well over £1million has been spent on the restoration and development of the fishery to make it into what it is today. In the 1990s Bonds Lake, Milton Lake and Temple Lake were added to the original Old Lake, offering anglers a chance to catch large numbers of true crucian carp (stocked from famous estate water Witley Park, in Surrey), specimen roach to over 3lb, carp to 40 lb plus and zander close to 17lb.